The Reykjanes Peninsula is a dramatic and wild region of Iceland located on the southwestern tip of the island. This UNESCO-listed geopark is a place of outstanding natural beauty. The region is home to brightly coloured wooden churches, snowy mountains, vast lava fields, and dolphin-filled seas. A secluded wooden lighthouse stands alone at the tip of the island. The best months for seeing the northern lights here are between September and March. The whole peninsula offers clear views of the lights, so there are no particularly recommended viewing spots. 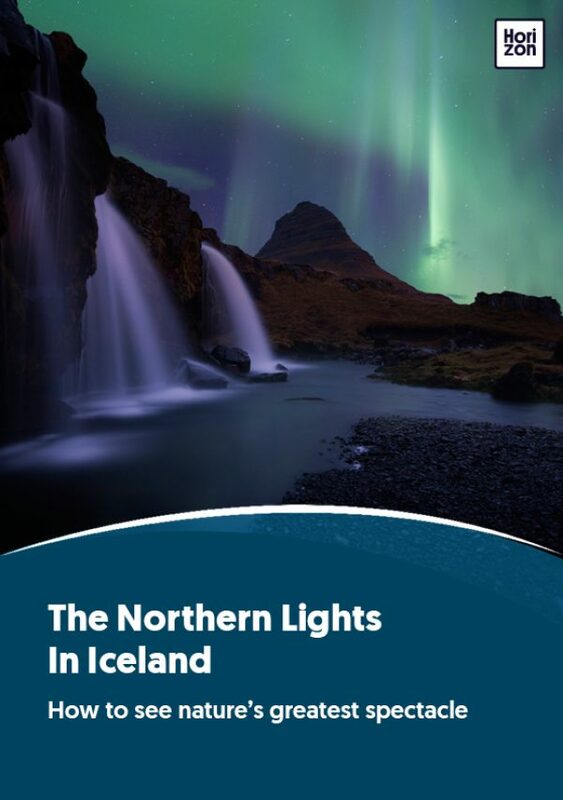 The main settlement in the peninsula, Reykjanesbær, is perfect for seeing the lights, and the secluded lighthouse jutting out into the sea at the north end of the peninsula can be a highlight. Like so many other places in Iceland, this region is an uninterrupted wilderness and there is little light pollution to get in the way of viewing the lights. The main settlement, Reykjanesbær has a wonderful quiet town atmosphere with outstanding natural beauty on the doorstep. The architecture is also delightful and there are plenty of hiking paths for walkers. You’ll need to drive to the region from Reykjavik or from Keflavik International Airport which is just south of the capital. There are few settlements outside Reykjanesbær. Most tour companies lead coach trips from Reykjavik to the Blue Lagoon, one of the country’s most popular attractions. The lagoon is a geothermal spa carved into the black lava surrounding Svartsengi geothermal power plant. Heated and mineral-rich water filters into the pools every two days. The waters are purported to offer numerous health benefits but are also popular as a place to simply relax. Viking World is a museum home to the Viking ship Íslendingur (Icelander) (entry is ISK 1,500; for more information see www.vikingworld.is). Brennisteinsfjöll are green moss-covered sulphur mountains and you can tour disused sulphur mines (for more information see https://www.visitreykjanes.is/en/travel/places/nature/brennisteinsfjoll). Eldey is a 77-metre rock standing alone in the middle of the sea off the peninsula. It’s an amazing sight when the seas are calm--it looks like an iceberg floating on the water.